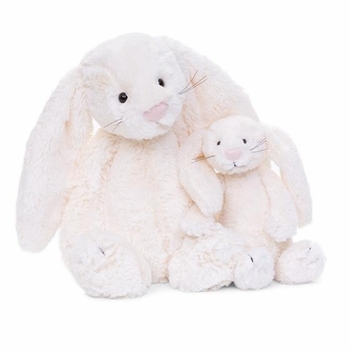 The Bashful Bunny Plush in cream is supremely soft, cuddly bunny features flop-about ears and a pretty pink nose. 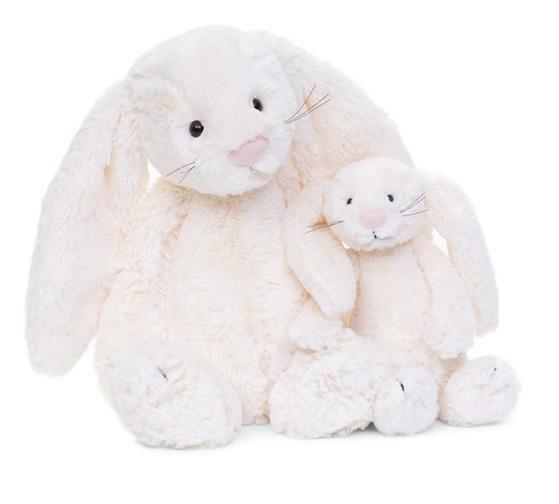 Luscious beige or cream plush. Face is detailed with glossy eyes.